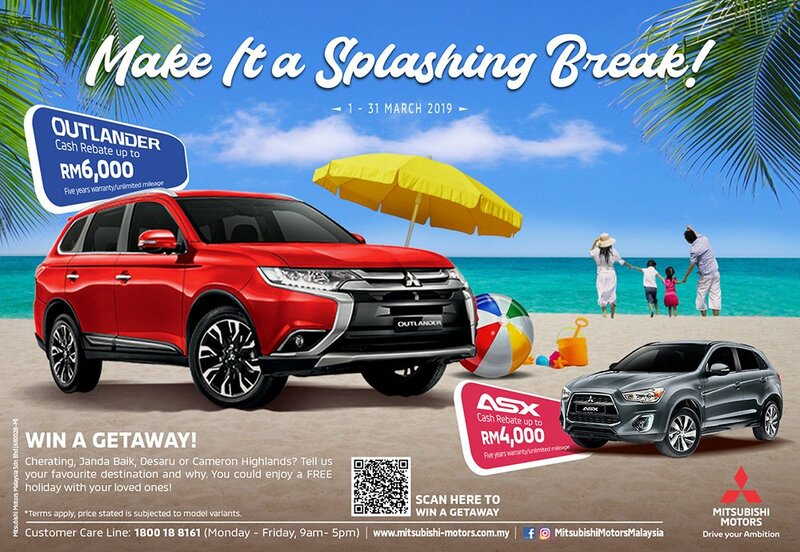 Kuala Lumpur, 11 March 2019 – Mitsubishi Motors Malaysia (MMM), the official distributor of Mitsubishi Motors vehicles in Malaysia, is offering a holiday package to either Cherating, Janda Baik, Desaru or Cameron Highlands to *selected customers who buy a new Mitsubishi Outlander SUV or ASX Compact SUV. Promotion is valid until 31 March 2019 only. 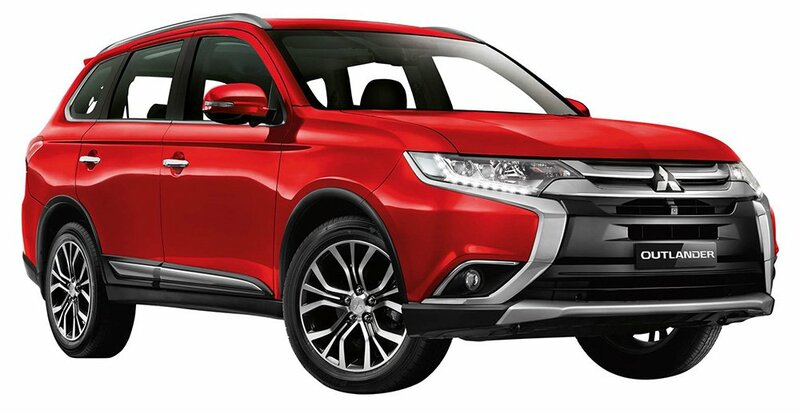 Customers who book and register a new Mitsubishi Outlander 2.0-litre or 2.4-litre will enjoy cash rebates up to RM6, 000! The Outlander 2.0-litre is priced at RM137, 888.00 while the Outlander 2.4-litre is priced at RM152, 888.00. RM4, 000. The ASX 4WD is priced at RM133, 336.08 while the ASX 2WD is priced at RM118, 866.00. The Outlander and ASX comes with five years warranty/unlimited mileage. · Prices are quoted on-the-road without insurance (10% SST inclusive) for individual private owners only in Peninsular Malaysia and not applicable in duty free zones. · This promotion is valid until 31 March 2019 only, while stocks last. · *Terms and Conditions Apply.